Inside: Free printable Christmas gift tags that you can print out and use when wrapping your Christmas gifts! All those fun colors and patterns that I really have no excuse to use at any other time of year had me feeling all inspired to create something! So I whipped up these super fun printable Christmas gift tags and and I’m sharing them with you! That otta make fighting the inevitable crowds at the mall at least a little bit sweeter right? I’m seriously considering do a lot of my shopping online this year cause I just don’t think I have what it takes to be a competitive shopper. Even still, my presents are going to look extra festive with these holiday gift tags! I tried to keep the design of these simple and fun and used mostly traditional Christmas colors that will go with the fun wrapping paper I’ve been seeing. But of course I had to mix in some non traditional Christmas colors too. I couldn’t neglect the other fun papers! You can print as many sets as you’d like, just follow the printing instructions and tips below. A new window will open. Hover over the top right of your screen and you’ll see a download and print icon appear. 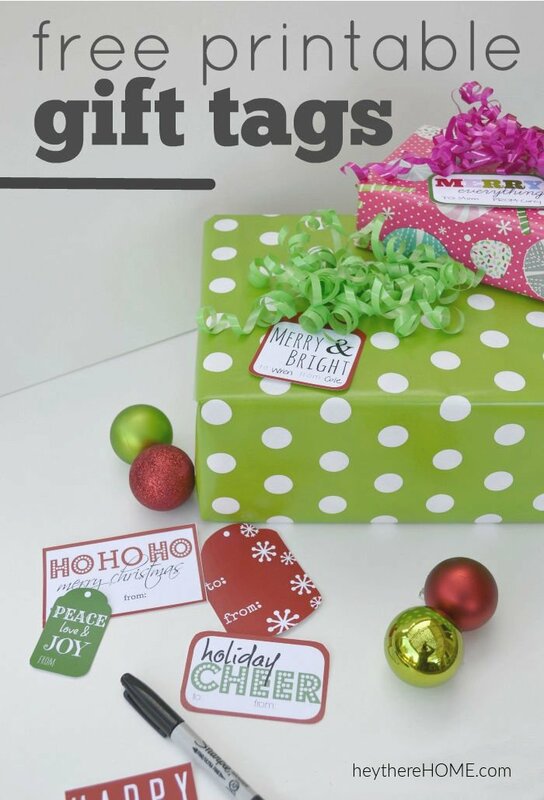 Use them to download or print your gift tags. Then print them on an 8 1/2 x 11 piece of card stock and cut them out. For best results, take your file on a thumb drive to an office supply store and have them printed on their high quality printer. This will ensure that the colors are really vivid. Enjoy! And don’t forget to PIN, PIN, PIN to help me share them with everyone! Want more? 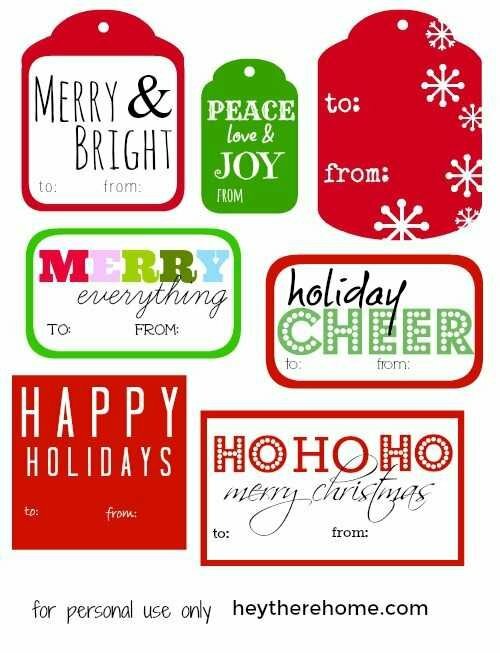 Click here to get even more free printable Christmas gift tags! Thank you Corey for sharing your Christmas tags. I look forward to using them. These are awesome Corey! Thank you!